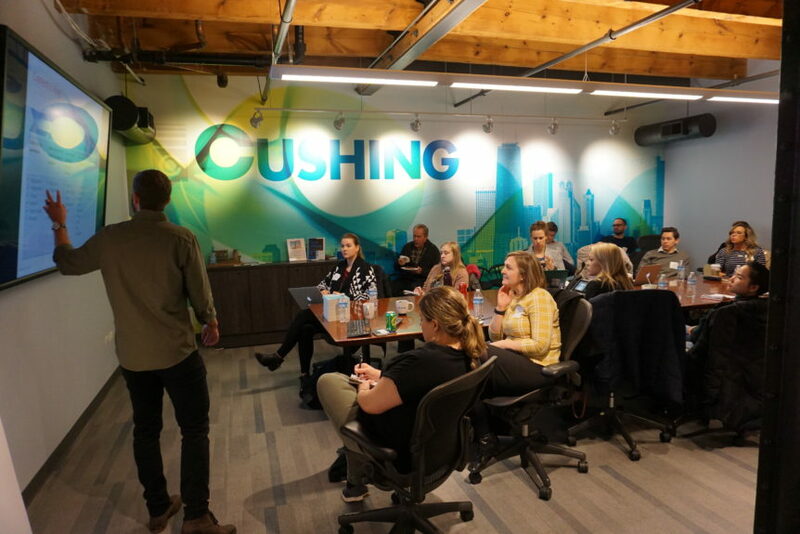 On March 21st I led a “Digital Marketing 101” workshop at Cushing in Chicago. These are some of the best tips and takeaways from the event. 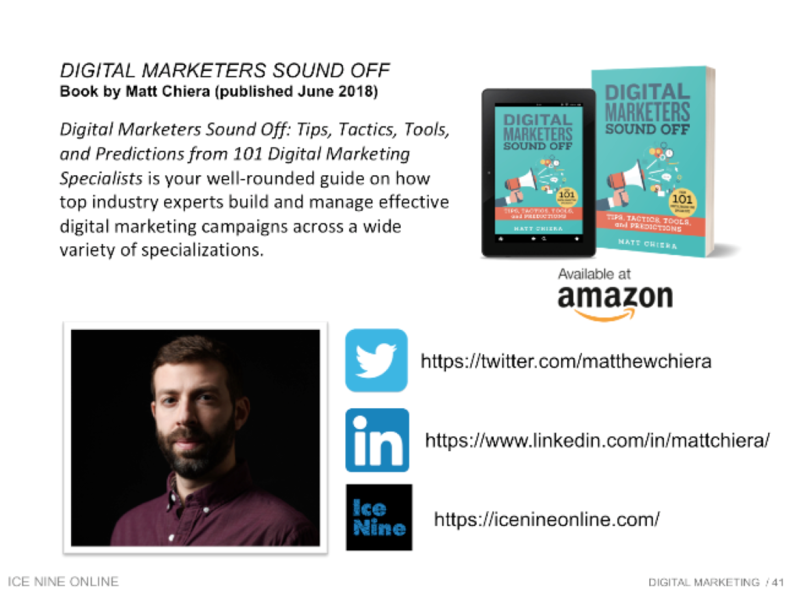 I covered a multitude of digital marketing topics focusing on “low-hanging-fruit” – the digital marketing projects that take the least amount of time and resources to produce a significant impact. 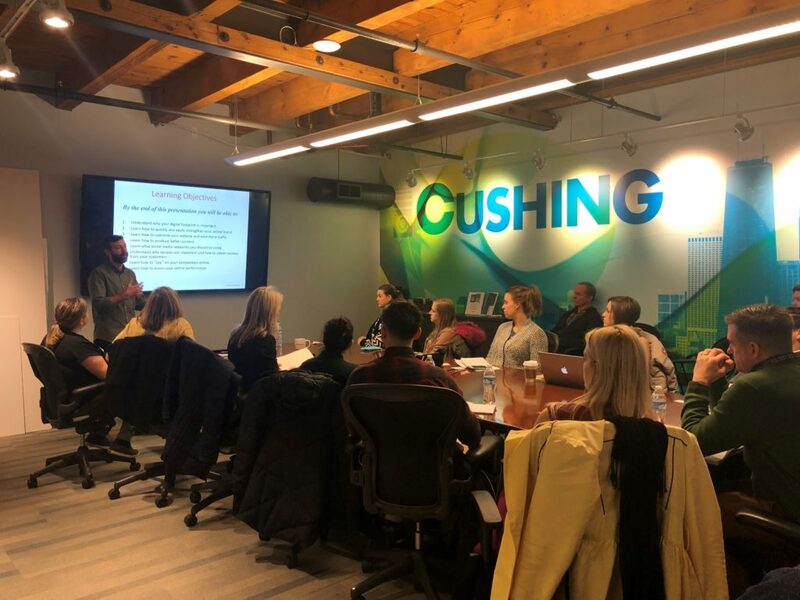 The event was tailored to other marketers including veteran marketing who were looking to brush up their digital marketing skills. I talked at length about investing in your company’s website. 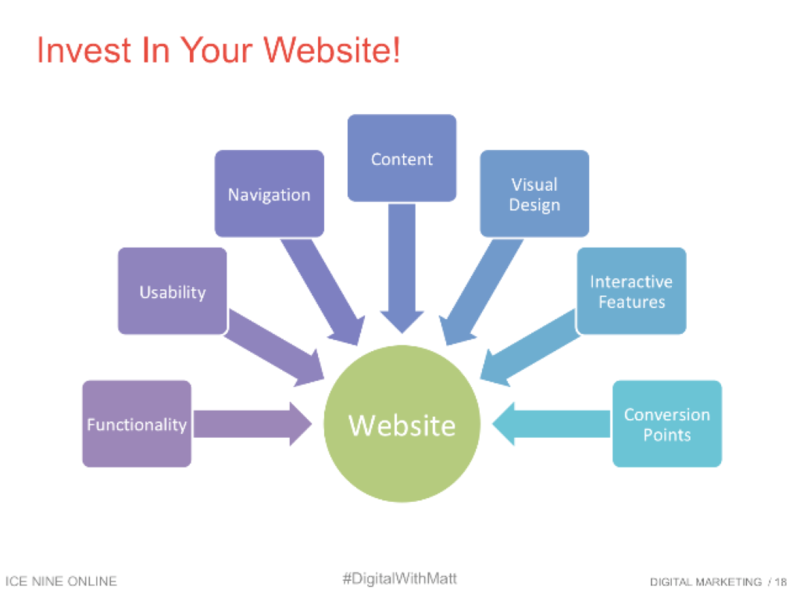 Your website is the “core” of your digital ecosystem and is often used as the springboard for your digital marketing tools and campaigns. I can’t stress enough how important it is to have a great website. 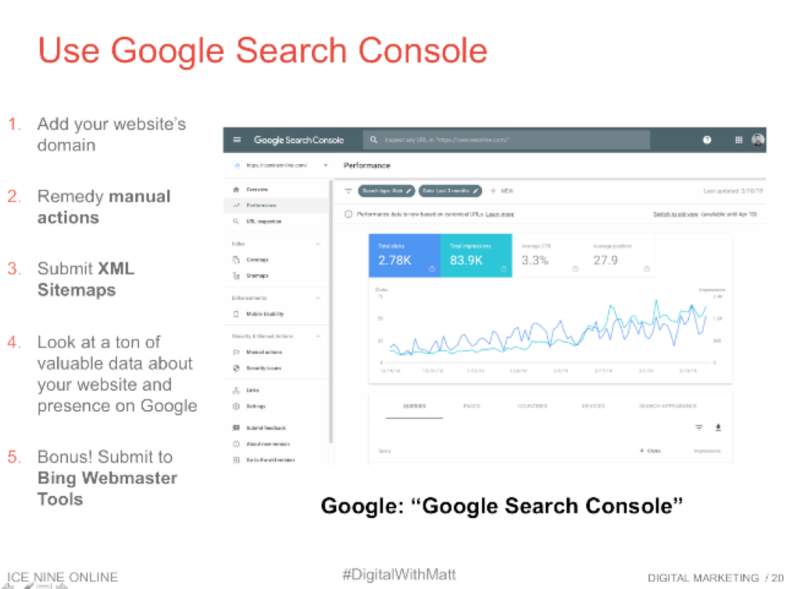 I went into some depth on Google Search Console – specifically how to set it up, what it’s used for, and how to use all the features to check in on and improve your SEO. 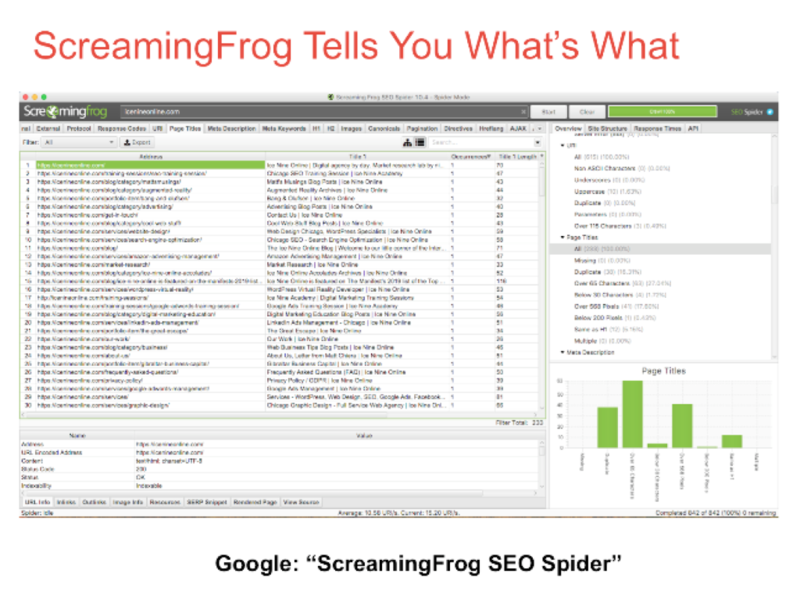 ScreamingFrog is one of my favorite SEO tools. We discussed how to use ScreamingFrog to create an Excel spreadsheet of all your website’s pages and the key meta data for the pages. Then I went through how to use this spreadsheet to update the important SEO tags on a website – specifically Title Tags, Meta Descriptions, and H1-H6 tags. I spent a significant amount of time in the presentation talking about content. 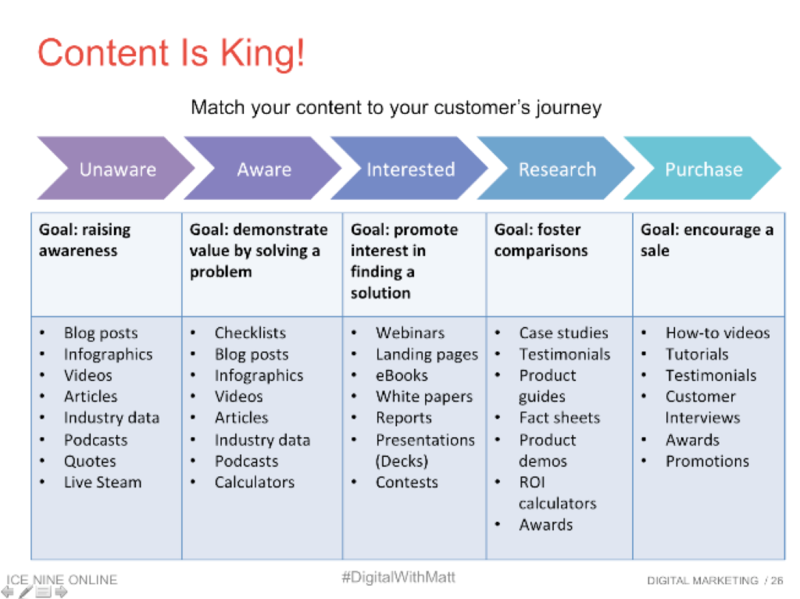 I went through how content relates to SEO, user experience on your website, establishing credibility for your business, providing valuable information for clients and prospective clients, and how to create, deploy, and measure your content marketing efforts. 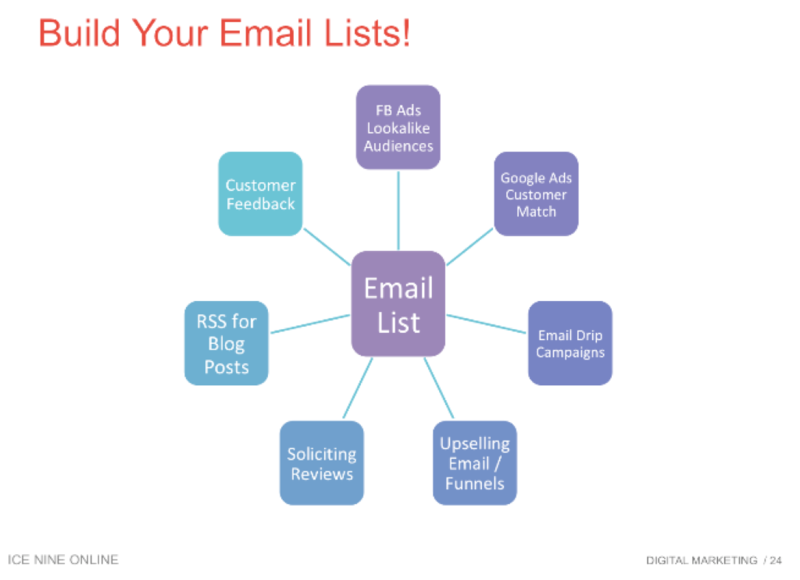 Your email lists are one of your most valuable marketing assets. I discussed how to create a list, segment it, and then what you can use it for once you have subscribers. I often find that small businesses try to manage too many social media profiles simultaneously. As a result, they end up managing each channel poorly. 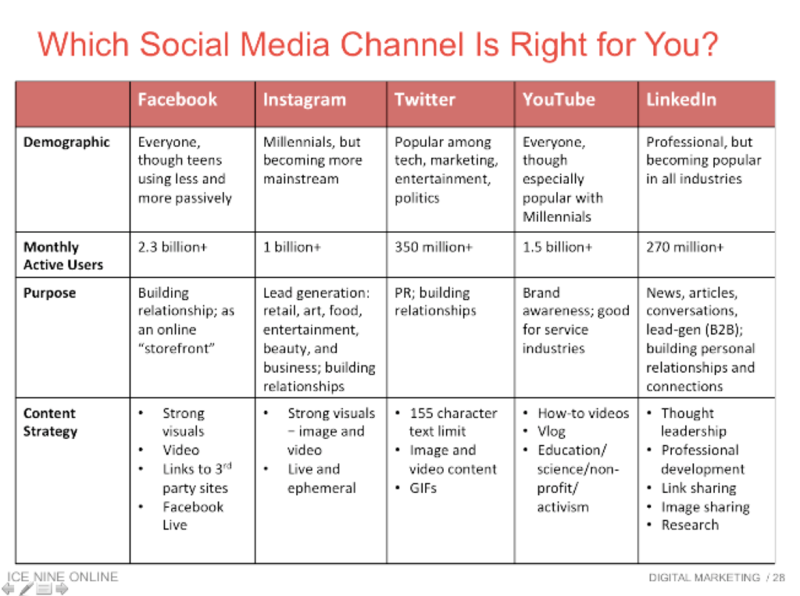 I went through how to pick the social media channel that will provide the most engagement for different types of businesses. “Spying” on your competitor’s marketing campaigns and online properties is one of the best ways to determine what strategies might work for your own business. 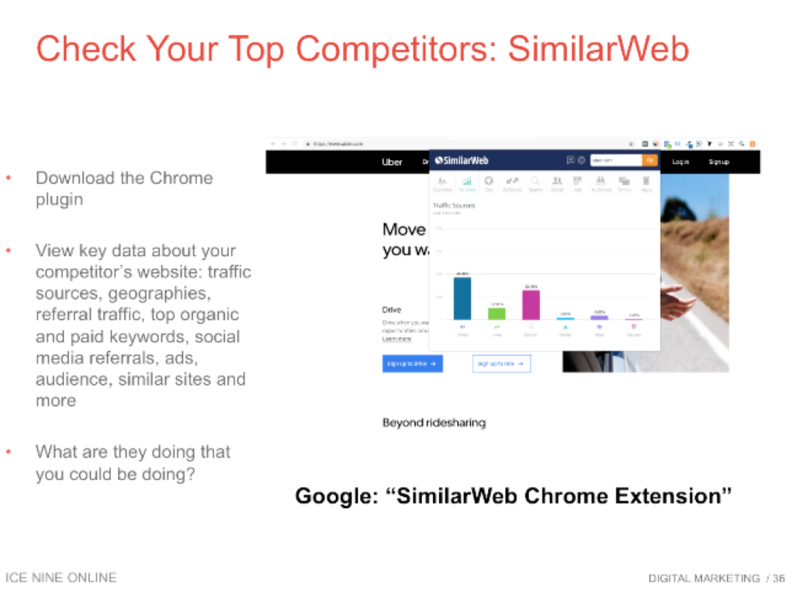 I did a brief walkthrough of SimilarWeb, SpyFu, and Crayon – three of my favorite competitive intelligence tools. Reviews are extremely important! We discussed why reviews are important and then I outlined some tactics to gain reviews from happy customers. 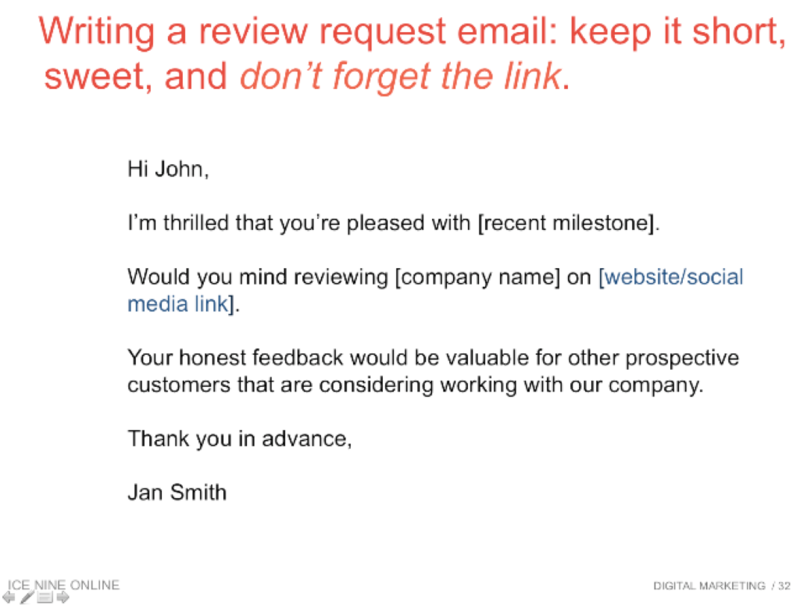 We discussed some “review management” tools that automate the process along with my “review solicitation” email template. It works wonders for gaining reviews quickly and with little effort. 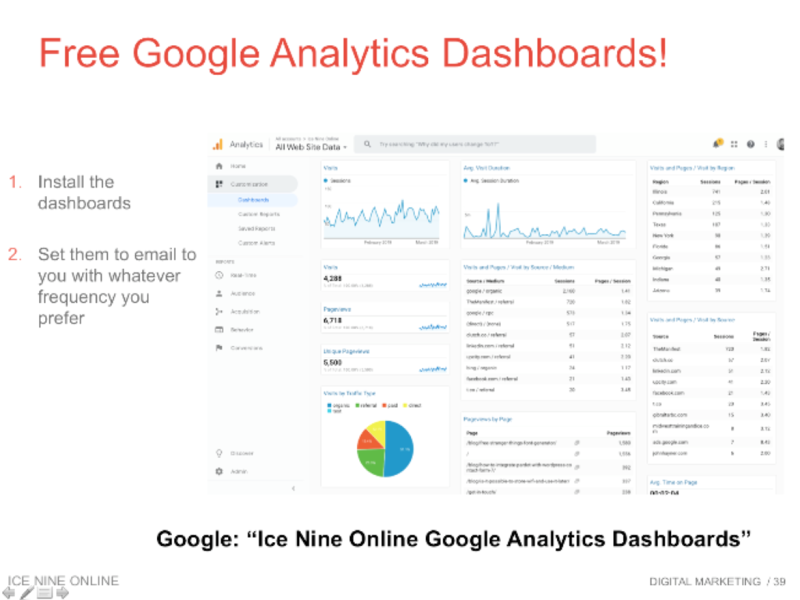 I even gave away a bunch of free Google Analytics dashboards. If you want them, you can download them for free here. 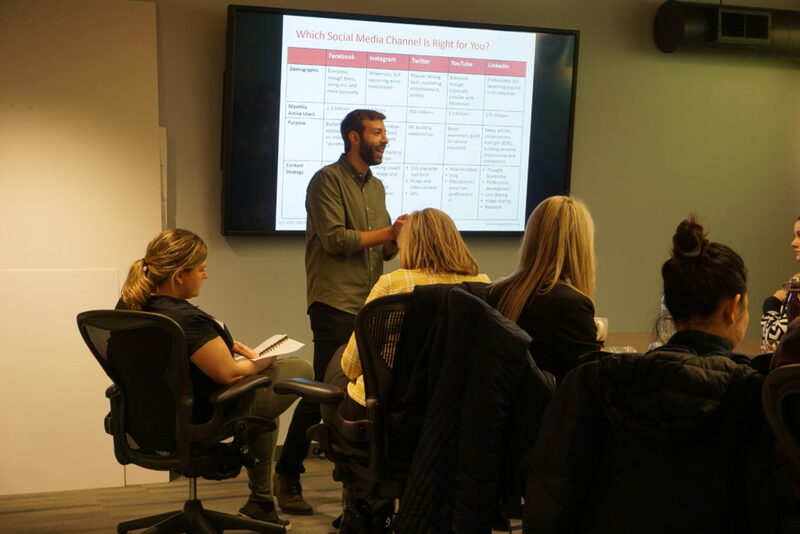 Fill out the form below if you’re interested in having me present this Digital Marketing 101 workshop at your business or organization!